Specialists from Cobblecrete can create modern and eye catching patio designs that will suit any style of property. Patios have a variety of uses including dining, entertaining, relaxing or playing. When deciding what style you want it’s important to balance your landscaping goals with your functional needs. Knowing the purpose of your patio will help dictate the size you require; but you can talk to the Cobblecrete team and we can advise on which shape and size will suit your garden and design ideas. 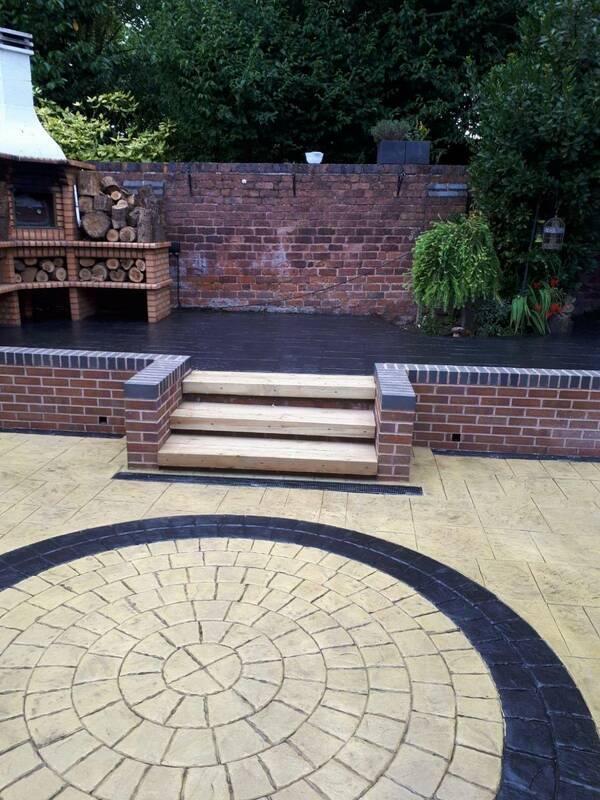 For over 25 years Cobblecrete has been providing the finest patio designs for Wolverhampton and the surrounding areas. If you’d like to find out more about our patterned concrete patios, please contact us and we can answer any questions you’ve got.